Learning happens when a task or activity is done frequently. 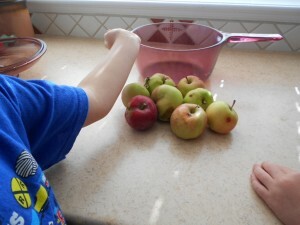 Every fall, there is a great opportunity for both fun with kids and encouraging their early learning by making applesauce. 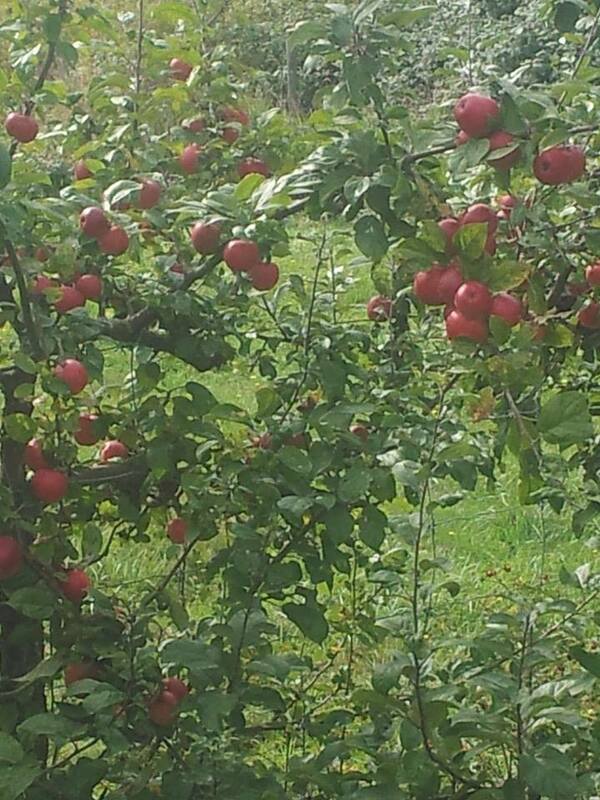 The directions of: wash apples, cut them, remove core, cut into smaller pieces and cook with a bit of water , are so standard that we don’t even think about them. To kids tho, this is mysterious.The ingredients of apples, water, and cinnamon, with sweetener depending on the tartness of the apples, are ordinary, but the results are almost magical. All their senses are involved and kids can be involved in every step, making it even more exciting. 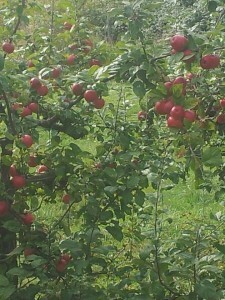 (Directions: Wash, then cut 3-5 apples into smaller pieces or slices; peeling is optional. Using a plastic knife, kids can help cut the slices or pieces. Place in a saucepan, add about 1/2 cup of water, a few shakes of cinnamon and sugar or honey to taste. Cook until soft, about 20 minutes. Make sure to cool before eating.) Some of the learning might be how heat changes food, how apples have seeds, doing steps in a particular order, following directions, and certainly using language. 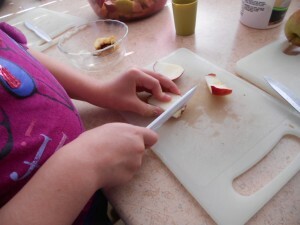 Kids get to practice a variety of actions such as slicing, stirring, measuring, and more. The working together and cooperating adds to the growth of social skills. Emotionally, the feelings of accomplishment and success are very rewarding. The experience adds to children’s confidence and development of self-reliance. 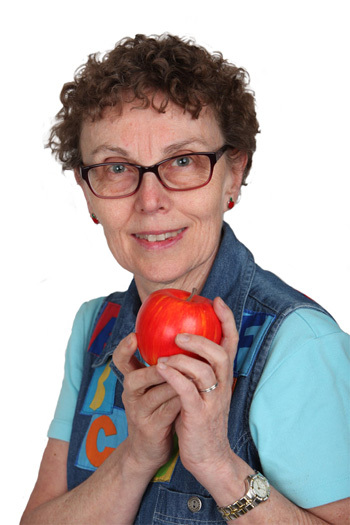 All this learning makes for quite a package to a dish of applesauce. No wonder it’s worth doing over and over every year. The video below of an older brother and younger sister making applesauce is really sweet. Is this an activity that you have tried with your child? 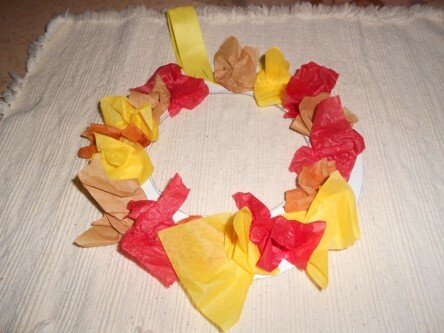 This craft works for a wonderful fall or Thanksgiving decoration and not only is it fun for kids, but there’s learning for kindergarten readiness too. Thank you to Happy Hooligans for the inspiration. 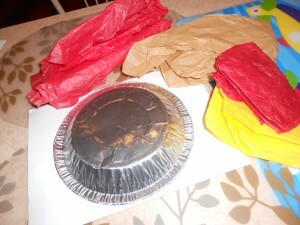 First, we used a stiff piece of paper and traced around a pie plate to make the outside circle. Little hands can do the tracing, but grownup hands need to hold the plate from sliding around. Find another circle for the middle that leaves a fairly wide band and trace again. Cut around the outside circle. Make a hole in the center part to cut out the inner circle. The paper we had was too thick for Big Sister’s hands to cut; it was almost too thick for me. Cutting out the inner circle was quite tricky. Using orange, red, yellow, and brown tissue paper, cut out a few squares, about 3 inches or so, of each color. This uses surprisingly few. If the glue at your house gets all over everywhere, a grownup can squeeze a thick line all around the circle. Kids can just pinch the tissue paper in the middle to make it all wrinkly and stick it on the line of glue all around. If any spot looks bare, add a little more glue and more squished paper. Add a ribbon to hang, maybe staple so it stays attached. Crafts like this are suitable for both toddlers and preschoolers. Kids learn to do several steps in order and to figure out a sequence. They can’t glue until the wreath is traced and cut out. As they pick colors they are learning to make choices and to match the names of colors. There’s lots of talking, explaining, and practice asking questions. Best of all, are the good feelings when kids see that they have completed a project and it’s decorating the home! Is this doable at your place? 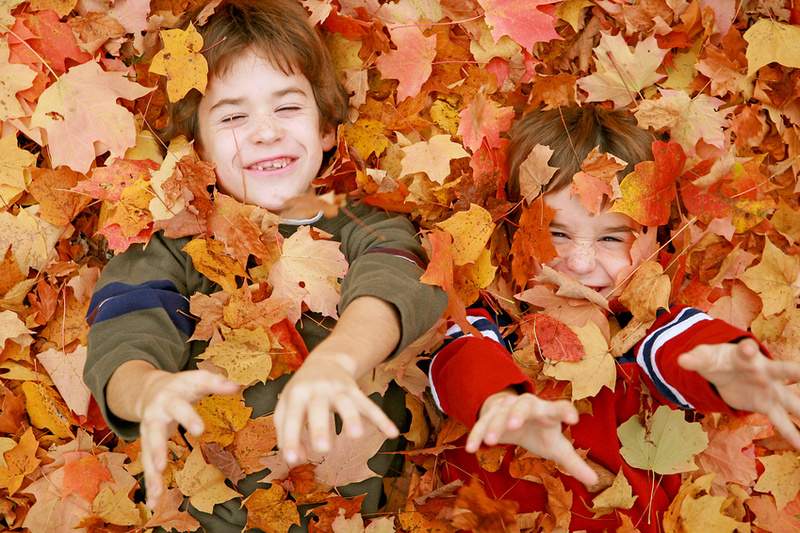 Do you remember any fall songs or fingerplays to do with your child? 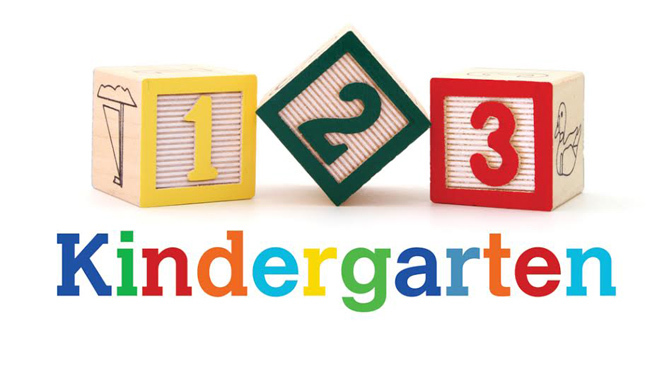 These are simple fun and learning activities that encourage kindergarten readiness. These can be done in quick minutes as you pour breakfast cereal, wash a face or zip up a jacket. 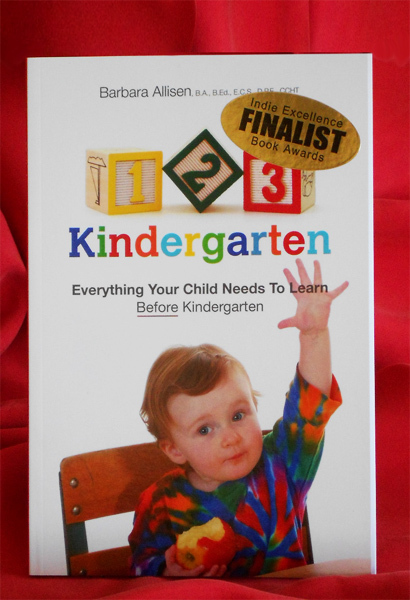 Kids learn new words, language patterns, and rhythm. They stretch their memories and practice careful listening. In order to say the words and do the actions, kids have to coordinate their thinking. That’s a lot of learning in little bits of time! Mother Nature Did You Sneeze? Red ones, yellow ones, orange, and brown. Big ones, little ones on the ground. Mother Nature did you sneeze? A–a–a–choo! Sneezing and throwing leaves is fun, before raking them up and ‘falling’ in. There are countless more songs and fingerplays. What ever ones you do with your child, are fun and learning at the same time. Which fall fingerplays and songs does your child like?